Music appreciation is kind of "our thing". Being a degreed musician and former elementary music teacher leads me to choose music materials for our homeschool quite carefully. I look for quality music, the opportunity to learn about composers, and a "unit study" approach to music appreciation. I know, however, that a music appreciation course needs to be easy for the non musical parent. 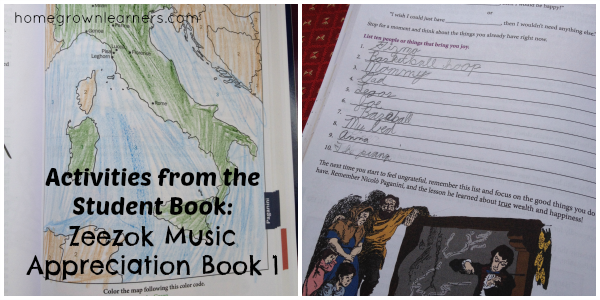 Enter Zeezok Publishing and their new music appreciation curriculum. I have long been a fan of Opal Wheeler's composer biographies. When I learned that Zeezok Publishing had put together a Music Appreciation Curriculum for children based on these books I was thrilled. Today I get to share my impressions of this curriculum, as well as offer one lucky reader a chance to win the course. 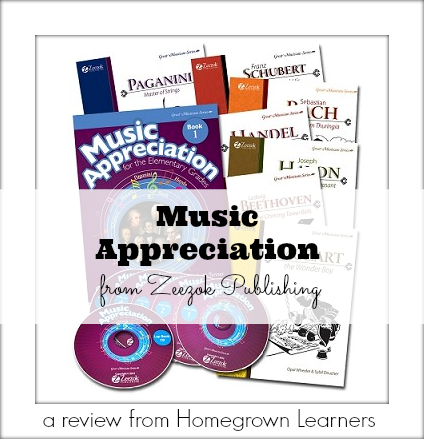 This is a comprehensive music appreciation curriculum designed for elementary age children (with possible extensions into the middle grades). The "spine" of your child's learning will be the beautifully written composer biographies by Opal Wheeler. These are well written, living books that bring your child into the life and times of each composer. Also included is one large activity book, containing 4 weeks of lesson ideas and activites for each composer. This is 28 total weeks of scripted music appreciation lessons - enough for one year (or more depending upon your rate of study). The course also comes with music discs and a lapbook elements CD Rom. 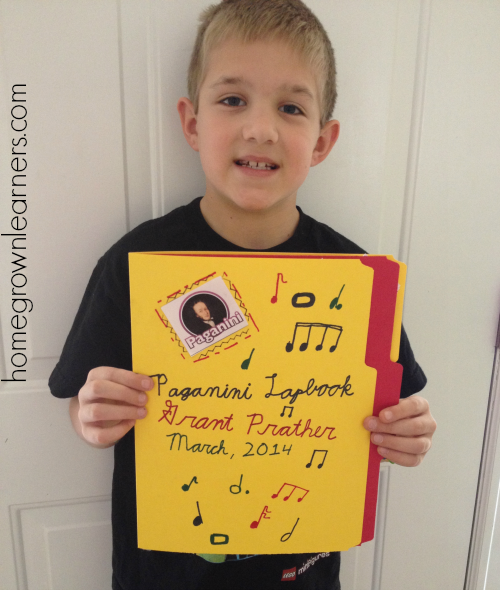 This review focuses on the Paganini biography, the lapbook my son created, as well as the activies from the activity book. The activity book also included interesting tidbits, mapping exercises, recipes, character traits, and more. We spent on average about an hour each time we sat for our music appreciation lessons. I loved that I could have Grant busy cutting out lapbook pieces or doing an activity from the book while I was reading. 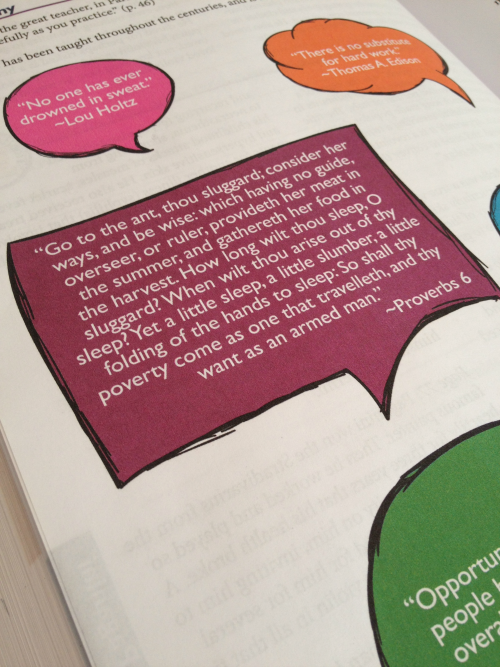 While I am not normally a "workbook" kind of homeschool mom, this workbook was very well done and engaging. I found myself picking and choosing what we did, and actually leaving out very little. All of the activities appealed to my son. *I would recommend the course for elementary and middle grade students. There are suggested activities for middle grades students, so there is no need to figure out how to adapt the materials yourself. As a mom of a third and seventh grader I liked this. Any music selections referenced in the biography were available on the CD, and there was even two piece of music printed in the biography. How marvelous it is to have a curriculum that doesn't water anything down, and exposes our children to beautiful music. This is refreshing! If you decide to pursue using this curriculum, be sure you have the time to dedicate to it - while everything is scripted and laid out for you, the actual reading of the books and completion of the activities takes TIME... but it might help to consider that your children are learning about other subjects as well as music. All lapbook elements are found on the Music Appreciation lapbook CD Rom, which was easily loaded onto my Mac. I printed the pages as needed and stored the lapbooking elements in a resealable plastic bag. Children just love a finished product, and these lapbooks are so well done. I will say it again: Thank you Zeezok Publishing! Grant made a video tour of his Paganini lapbook. Take note of the unit study approach used here - history, language, geography, music, and more... all incorporated into this study of Paganini. The video speaks for itself. 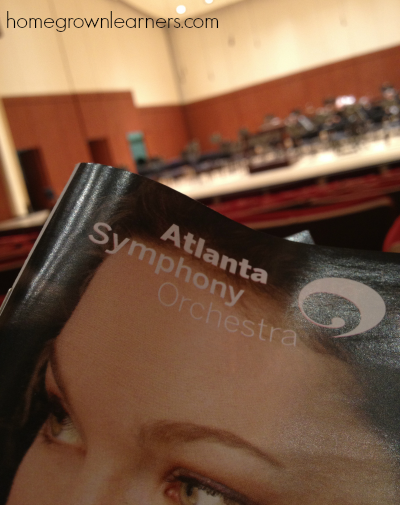 As luck would have it, we won tickets to see the Atlanta Symphony Orchestra. The featured work was by Paganini, played on a $2 million Stradivarius violin! It was an evening where everything came together... all four of us had a great time, and I sat with tears in my eyes as my family was glued to the performance of the "feindishly difficult Paganini" (Those were the words of our local public radio host after the concert.). My children knew the history behind the music, and the fiery personality that accompanied the equally fiery music. The Music Appreciation course translated into real life - isn't this what we want for our children? Based on living books - the Opal Wheeler biographies are so well done and I appreciate any curriculum with living books as its spine. Character traits are emphasized and BIBLE VERSES are included! Connect with Zeezok Publishing on Twitter, Facebook, Pinterest, and YouTube. There is a 10% discount on all orders until March 21 with the coupon code ihomeschool. 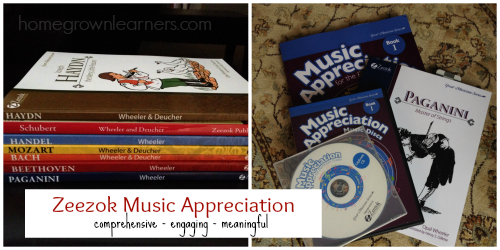 One lucky reader will win one music appreciation course ($169.99 value!). 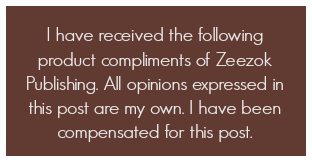 If a customer purchases the set during the giveaway, and subsequently wins it, Zeezok will issue a refund of the purchase price. Prize shipped only to US mailing addresses. Giveaway open until March 20, 2014 at 11:59 p.m. Follow the Rafflecopter Widget below to enter! Good luck!